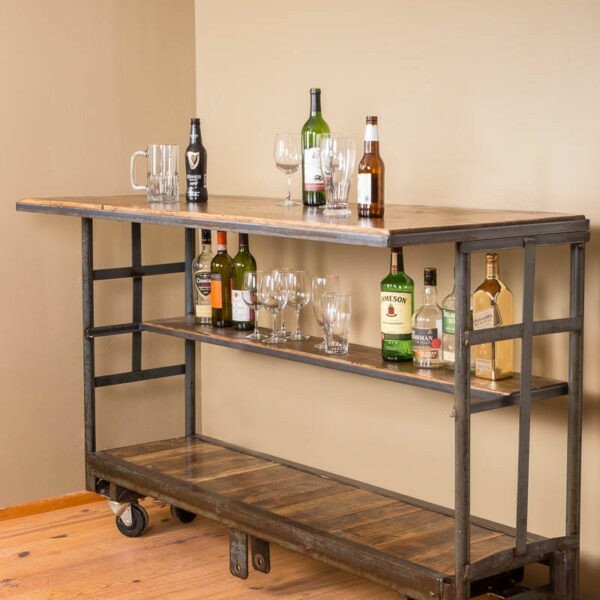 The Industrial Vintage Cart Rolling Bar and Shelf by Napa East is one of the newest pieces to the Vino Vintage Collection. Metal and wood combine to create an attractive, versatile piece of furniture. 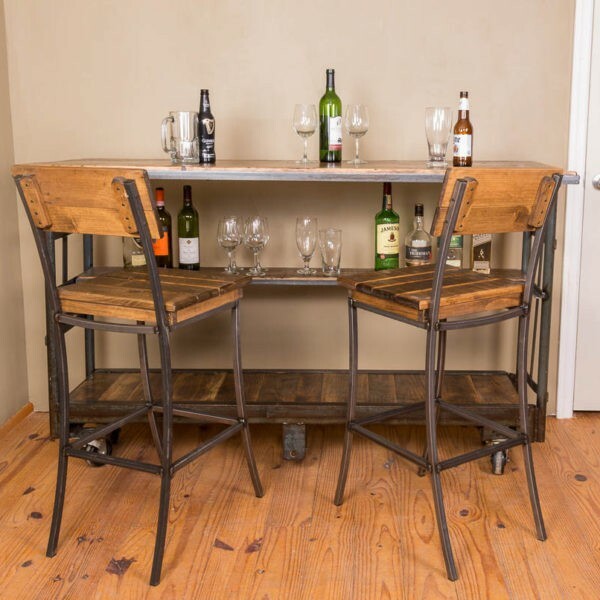 Heavy-duty wheels glide easily across the floor allowing you to reposition the cart/bar anywhere in the room making entertaining in tight spaces a breeze. Solid wood construction bar top and shelves are enhanced with metal bands around the corners and edges. Shelves provide ample storage space. Table Top: 24″ x 64″. 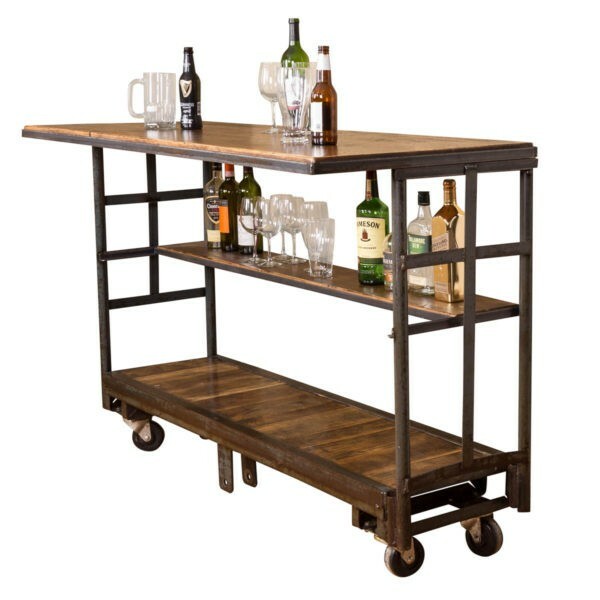 The Vintage Cart Rolling Bar and Shelf is one of the newest pieces to the Vino Vintage Collection. Metal and wood combine to create an attractive, versatile piece of furniture. Heavy-duty wheels glide easily across the floor allowing you to reposition the cart/bar anywhere in the room making entertaining in tight spaces a breeze. Solid wood construction bar top and shelves are enhanced with metal bands around the corners and edges. Shelves provide ample storage space.